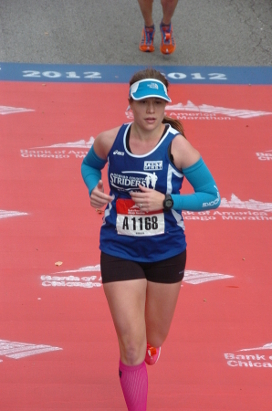 Caroline began running after college in 2010 as a way to meet friends and stay in shape. She quickly realized that she could be competitive with the right training. She fell in love with the marathon and the long runs. Along the way she‘s met some great friends that she’s run through the night and over the mountains with and had fun racing experiences both near and far. After a two year hiatus from having a baby, Caroline is back at training at a high level with ambitious goals in mind including qualifying for the Olympic Trials in the marathon. She looks forward to being back on the team and representing the Howard County Striders.